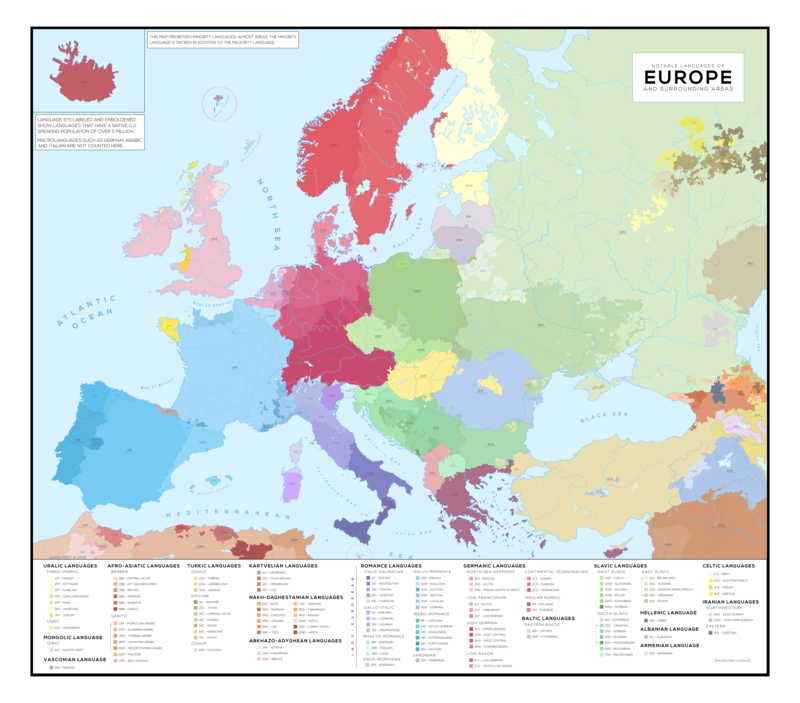 This map prioritizes minority languages. In most areas, the minority language is spoken in addition to the majority language. Language id’s labeled and enboldened show languages that have a native (L1) speaking population of over 5 million. Macrolanguages such as German, Arabic, and Italian are not counted here.